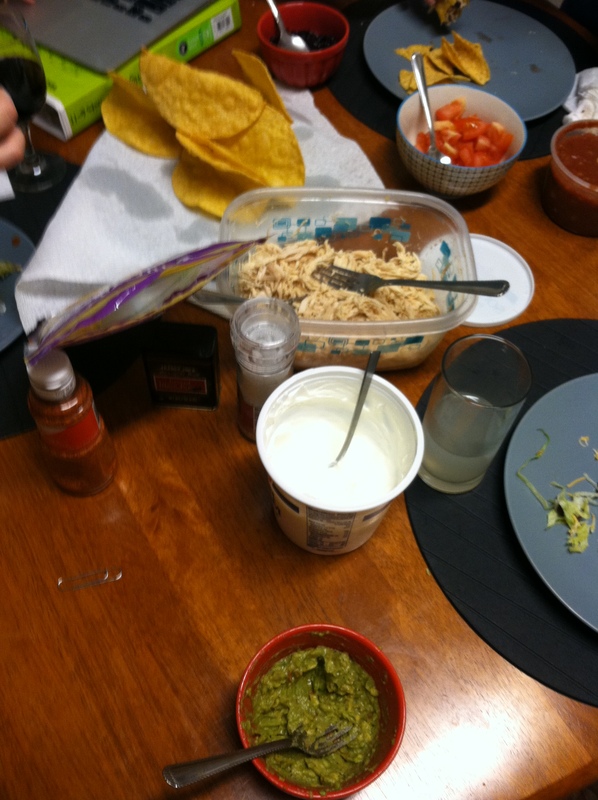 Today, I wanted to share with you a little tradition some good friends of mine have started: Taco Tuesday! Let me start by saying that, yes, I am aware that it is not yet Tuesday, it is in fact Friday. I am also aware of the fact that while I spend a night in, sipping my Tazo Rest tea and watching reruns on TLC, there is nothing that I would rather reminisce about. 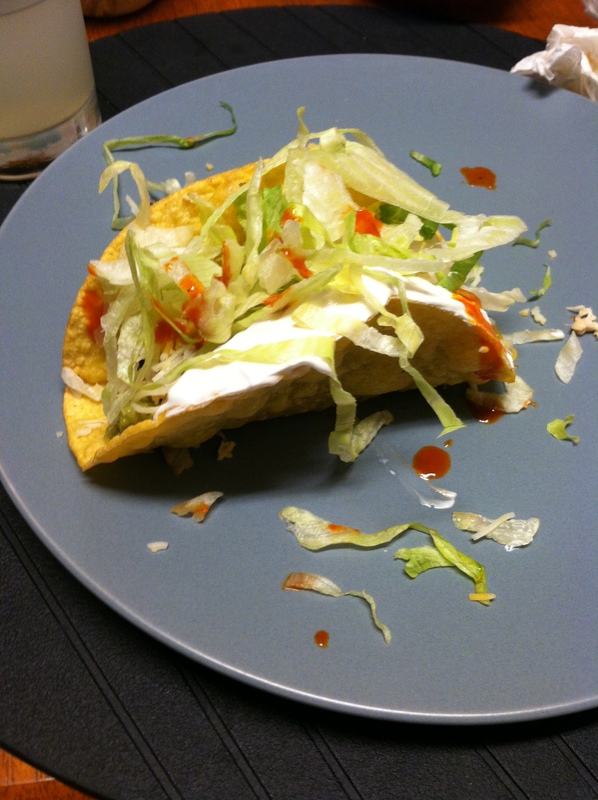 While it’s true that Taco Tuesday has long been a thing, I wanted to share with you my own experiences with it, and how it’s become something that I look forward to every week. I believe it was the brainchild of two of my friends, Jessie and Rachel, who have recently moved in together along with Rachel’s mysterious older brother, and the oft featured Maddie the dog. Thus far, our taco Tuesdays have never featured the same group of people twice, or the same exact range of ingredients twice. This last week, it was just the three of us along with Maddie, so we had a less than ceremonious table-setting and were dressed primarily in sweats. Jessie is the expert when it comes to creating homemade crispy taco shells- something that I long thought was not possible without magical powers. I’ve watched her craft them several times, and it turns out that all you need are some good corn tortillas, a skillet, tongs, and oil. Gently fold and fry, let them drip off, and voilà! You have delicious taco shells. Our filling of choice is chicken, simmered in broth and spices until it can be easily shredded. Any leftovers make for fabulous lunch additions the day after. 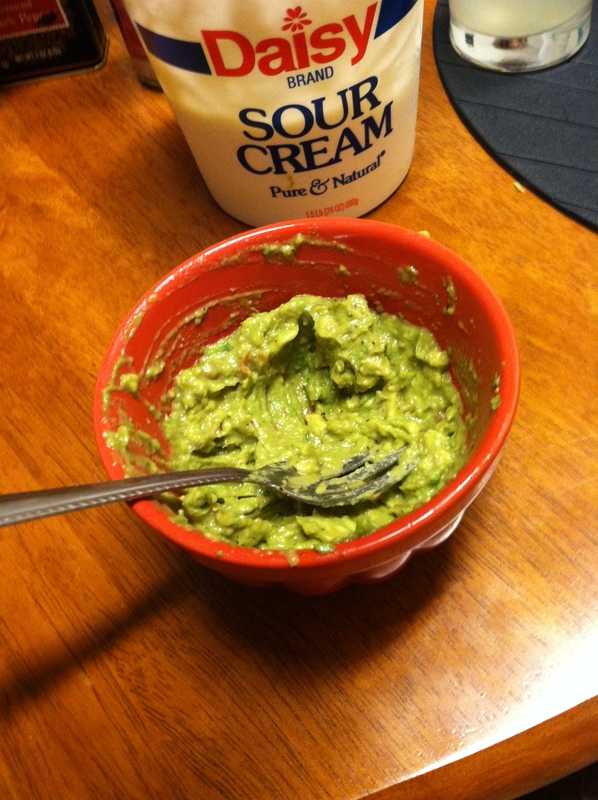 This week, we also created instant guacamole: simply mash a ripe avocado with some salsa and add any spices to taste. Along with the main ingredients, we like to include a variety of sauces, cheese, fresh tomatoes, sour cream, and lettuce. There’s a little something for everyone and everyone can create a meal to their own liking. Rachel, in the meantime, often makes a quick and easy margarita by simply mixing tequila, triple sec, and a bit of good limeade (Odwalla makes the best!). Topping your glass off easily with some chunky margarita salt makes it feel extra indulgent. So, if you’re out there, occasionally missing a home-cooked meal, grab some friends, throw together a Facebook event, and pick a relatively simple recipe. Good things will happen. Have a great weekend! I’m off to the Treasure Island Flea Market!